The hotel offers 10 uniquely designed apartment suites. They are all individually furnished, combining a contemporary neutral style with traditional architectural features. Each apartment suite comprises of a double or twin bedroom, bathroom en-suite, and a large spacious lounge with dining area and small kitchen. All but two apartment suites have private terraces. 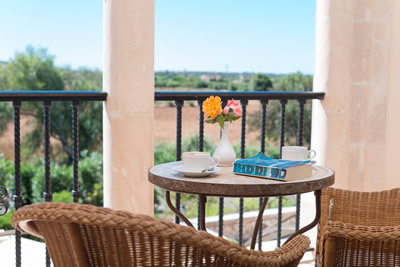 The guests can enjoy more than 500 satellite TV stations and free wifi in the rooms and around the premises.